In what might very well be a verbatim transcript of a period road test, legendary road-tester Archie Vicar takes a closer look at the 1975 Wolseley 18-22 and considers its chances in the market of the time. The article (“Another new car from Wolseley!”) first appeared in the Hemel-Hempstead Evening Post Echo (September 30, 1975). Douglas Land-Windermere is credited for the original photos. Due to termite-damage, the original images have been replaced by stock photos. compete in what is an increasingly competitive market. 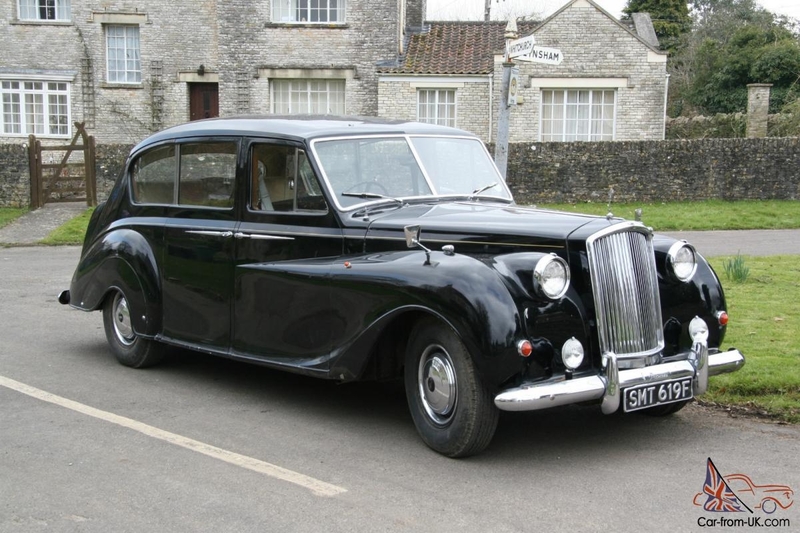 Traditionally the car for Plod, Wolseley have always been renowned for their road-holding and endurance and, of course, the straight-six engines found under the regal bonnet of vehicles like the 6/80. Formerly under BMC control, and now a part of the modernised British Leyland group, Wolseley’s latest offering replaces the much-loved Wolseley Six but it carries over the important features of front-wheel drive and the same four and six-cylinder engines. As such, the 18-22 clearly pays homage to the cars used in police service for many a long year. So, the important question now is what the 18-22 is like to own and drive. It may say “Wolesley” on the nose and side, steering wheel and boot but is it a Wolseley underneath too? It is certainly a distinctive car showing that Wolseley is keen to challenge the likes of the awkward Citroen CX which has been on sale for most of this year not to mention the boxy and thirsty Peugeot 604 (dread car!). Wolseley have cleverly positioned the 18-22 between the Ford Cortina and Ford Granada in terms of size and luxury. The 18-22 is a little smaller than a Vauxhall Victor FE too – and somewhat bigger than a Viva so one can see that the Wolseley is positioned so as to attract customers willing to pay a little more for quality and luxury and who are prepared to sacrifice a little exterior length. On the inside, the plush Wolseley punches above its weight: de luxe velour upholstery and wood-effect trim combine to create an ambience of remarkable opulence, far beyond the austerity of BMW’s drab and boxy 520 (dread car!). Wolseley customers will appreciate details such as the well-placed and commodious ashtray, smart radio (standard!) and comfortable, broad seats which more than outdo the hard furnishings of Mercedes’ cars. So, in terms of its static characteristics, the 18-22 more than upholds the traditions of the venerable Adderley marque. Readers might be wondering about the name: it pays respect to Wolseley’s naming convention by consisting of two two-digit numbers. The 18 refers to the 1800 cc engines available and the 22 refers to the 2200 cc engines available though any 18-22 may have either a 1800 or a 2200 engine under the stylish bonnet. The 2200 is a six cylinder engine, of course. And the 1800 is a modern push-rod four, for drivers keener on economy than on performance. Both cars are available with a four-speed manual but a Borg-Warner automatic is planned for October. I tested the six-cylinder manual. I took the Wolseley on a touring route starting in West Butterwick (near Scunthorpe), on to Hatfield, north to Rawcliffe Bridge, to Goole, Goole Fields and Swinefleet by the mighty Humber estuary and then up the Trent back to West Butterwirk. It is a lovely touring route, by the way with many opportunities for sampling local food and beers. The Half Moon afforded a good place to stop after a long morning’s driving and their ales make up with quality what they lack in range (not unlike Wolseley, one might say, but a Wolseley version of the Allegro is planned) . Broadly, the 18-22 is a smooth and comfortable car, exceeding Citroen’s wallowy standards by a country mile and also offering a choice of a six where the French make do with a four. There is a touch of understeer at higher cornering speeds – a draw with the Citroen. Wolseley’s 18-22 has a gearbox which could do with some revision though the flexibility of the four and six mean drivers won’t need to stir the ‘box too much. The fuel consumption is acceptable too – the shortness of the road-test meant I was not able to check up on Wolseley’s figures. Wolseley claims 28 mpg and I would not be moved to disagree. All in all, the 18-22 is a remarkable car: both modern and traditional and very much the car to light the way for Wolseley’s resurgence. The CX is “awkward” compared this this hideous beast ? The 18-22 Series / Princess was certainly one of BL’s better efforts, but the marketing was woeful. To launch it under the three different brands was bad enough, but to then rebrand it just nine months later was worse, and the choice of name, ridiculous. 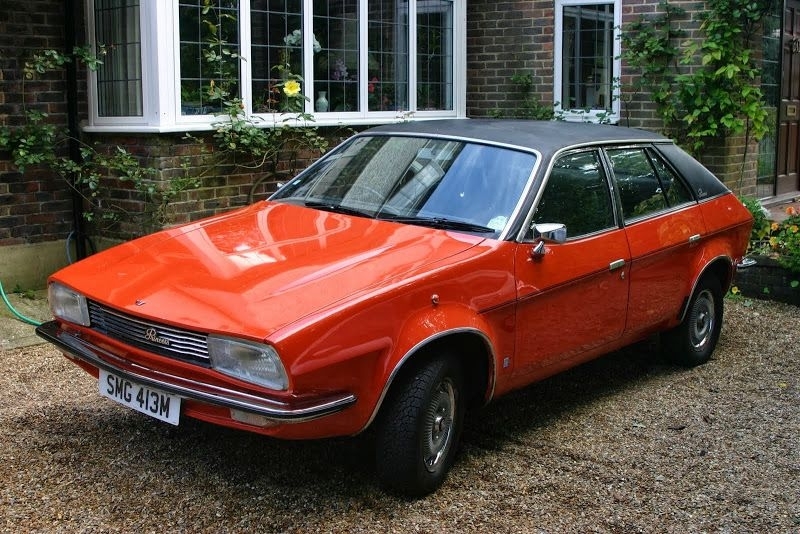 For those who didn’t make that association, Princess was surely a rather effete name for the car, especially as it was pretty much marketed as a brand in its own right, with no serious attempt to establish BL as the brand, presumably because the latter had such negative connotations in the minds of potential British buyers in the 70’s. Incidentally, Richard, I notice that the Wolseley 18-22 you previously previously spotted in Denmark had (uniquely?) single quadilateral headlamps rather than the standard Wolseley four-lamp setup, which always looked a bit makeshift by comparison, IMHO. “…no serious attempt to establish BL as the brand”. My fathers 1973 Austin 1300 had a British Leyland badge on the left front wing only – nothing on the right wing. I assume it was cost-saving, as other 1300’s were similarly afflicted, but it looked a rather half-hearted effort. Leyland seemed to swing the other way later in the late 1970’s, advertising Leyland Cars but not focusing on any model (“Great cars and a great deal more from Leyland, Leyland Cars”). That is for posting the advertisement, Richard. I remember it vaguely. It has a strange front end I think. Unusual, even for the times. Perhaps a “cobbled together’ quality to it. It looks a bit awkward, this mix of round headlights, small angular grille, pinched in the middle. The rise in the center of the bonnet and above the grille looks a bit desperate to me, like they thought this would give it instant Britishness and remind you of a Jaguar or a Rolls. 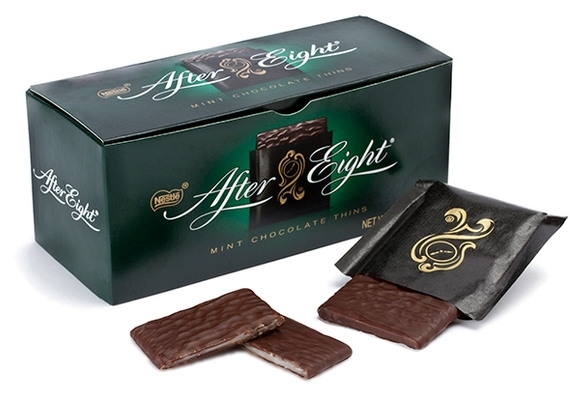 Overall, the car reminds me of ‘After 8’ thin mints so I guess they had the british thing nailed in the end. For my money, the Austin is the only one that doesn’t look like an afterthought. 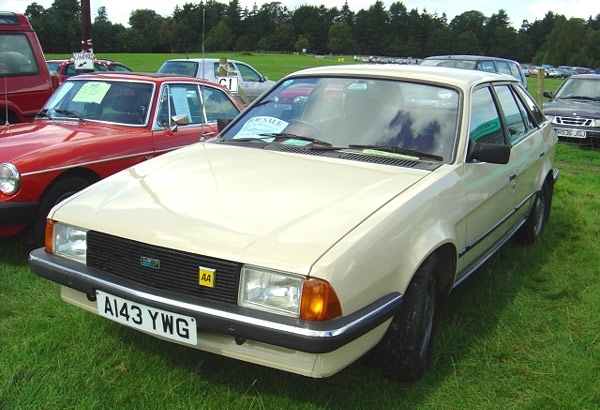 After the Princess rebrand, the single quadilateral headlamps were reserved for the 2200 models, the 1800 getting the four round units, albeit mated to the simple Austin grille. No I meant it literally. It reminds me of an After 8 in the way it looks. Anyway thank you for the little story about the cars themselves because am not too familiar with these. Don’t see the resemblance myself but, hey, different strokes etc. The advert is comedy gold. The Archie Vicar review is just what we could do with right now in car magazines. Honesty and real ales over corporate etiquette and being particularly glib. When you run out of oloroso, you can always try sercial Madeira, which his fairly dry. Or perhaps crack open the dry Marsala (which is more like a medium sherry but still…). You might also like this one, featuring The Two Ronnies. There’s plenty more on YouTube, including a ‘How the Princess was developed’ video. I haven’t posted the link here, as the film seems interminable. If anyone wants it, let me know. I’ve always liked the basic visual design of the Princess and think it has aged well. Those badge-engineering grilles on the Morris and Wolseley versions though… What were they thinking? Modern pushrod four, Mr Vicar? Surely that was the croaker of a B series, not updated since first being shovelled into the original 1800. This poor Princess precursor was also offered in the Antipodes, I understand, being assembled from parts shipped in cardboard boxes to New Zealand. I wonder how those poor beggars got on with it. Then one day in 1979, they tore apart a crate and mate, there it was – a gleaming attack on the state of the art! An O series chuffer. After a quick trip to the ironmonger’s, they had enough L brackets to bodge it into the bodies still drilled for the B Series. British Leyland QC, you’ve got to love it. Whatta car! Yes, a modern pushrod four and not an old-fashioned pushrod four. I imagine one could have a modern top hat as opposed to an old-fashioned type of top hat. Harris Mann wanted all of the cars to have the sleeker Austin bonnet style but marketing won out dictating that the nose treatment of each model was distinctive, hence the humped bonnet on Morris and Wolseley versions. They deliberated for days over how to style the bright surround of the Morris grille but it was styling for marketing sake. However, Harris got his way in the end when they all became Princess six months after launch. Not the best name for the car but it was sitting on the shelf doing nothing at the time. I think ‘Delta’ was the preferred name during development. The Wolseley version is distinctive and highly prized now – if you can find one. 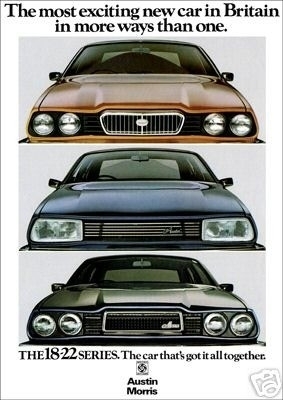 Austin Morris spent £3/4 million marketing the 18-22 Series at launch in March ’75 but they had to start all over again in September when it became Princess, though they didn’t have as much money to tell everyone about it this time. With all the dust settled, I hope it´s quite clear that this car/ these cars were let down by the build. As styling statements they were just fine. The one aspect I don´t much like was also an accepted trope: the way the side glass flows up near the side mirror to connect with the base of the windscreen. A very great number of cars had this effect and the alternative may justifiably have looked quite unsettling. I could understand how Harris Mann preferred to have the flow around the A-pillar. From the top-side view it works too. From other angles less so. The bit that bothers me is that wingline and A-pillar to door cuts across the flowing line as it goes from the base of the windscreeen around to the bottom of the DLO. The Ambassador is even worse. Everything about the Ambassador screams ‘done on the cheap’. For what ought to have been the Princess as it should have been, it not only disappointed in almost every measurable way, but trashed the design integrity of Harris Mann’s original design. Given the paltry numbers sold, it was a colossal waste of money which BL simply didn’t have to fritter away like that at the time. I can’t believe they made a brass farthing on the programme. Rather the opposite, I suspect. Cheap, certainly, from those too-small headlamps borrowed from the Morris Ital to the Metro-esque dashboard, the Ambassador was markedly inferior to the Princess and certainly not worth the effort. The square, minimalist AA badges were horrible. It fits in on the Ambassador. The NHS in Britain has been given a similarly rubbish and criminally coarse logotype. It screams indifference. Do the British have a hard time doing “modern” now? It is not just a matter of taking everything away. What is left must be lovely somehow and “AA” in sans serif lettering on a square block is not much more than service marking; ditto the NHS logo with its ugly digital blue and slanted lettering.